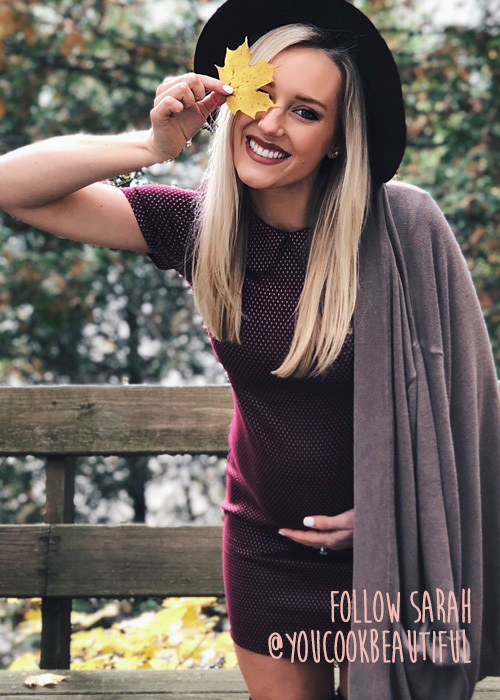 Sarah Hart is a recipe developer and Instagram blogger (@youcookbeautiful) who focuses on healing through holistic health. She lives in Grand Rapids, MI with her husband and 2 beautiful kids. 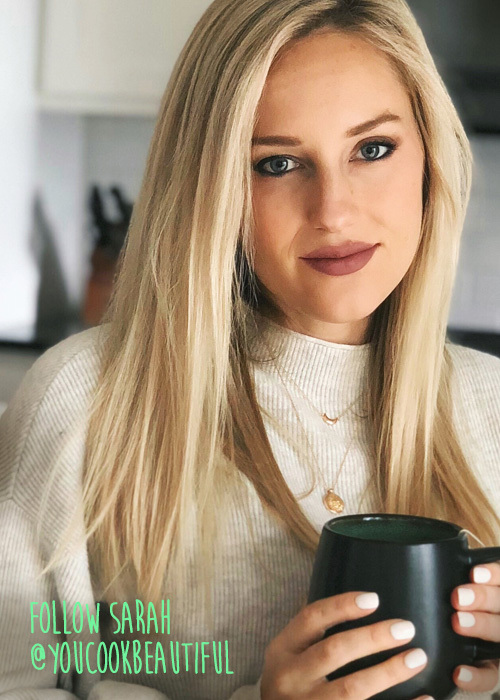 We check in with Sarah to find out why E3Live has played a huge roll in her health, and she also shares some awesome recipes using E3Live superfoods. My name is Sarah. I am a wife and mom of 2 kiddos with one on the way. My passions include Jesus, traveling, exploring the outdoors, fitness, and healthy food. I became interested in a healthy lifestyle when I was around 22 years of age. I realized that as we age, it is so important to take care of our bodies in order to maintain top performance, mentally, physically, emotionally and spiritually. I knew that when I got older I wanted to be able to play sports, keep up with my kids, hike, and do all kinds of physical activities well into old age. I realized that if I didn’t start focusing on my health right away, those goals wouldn’t be realistic. 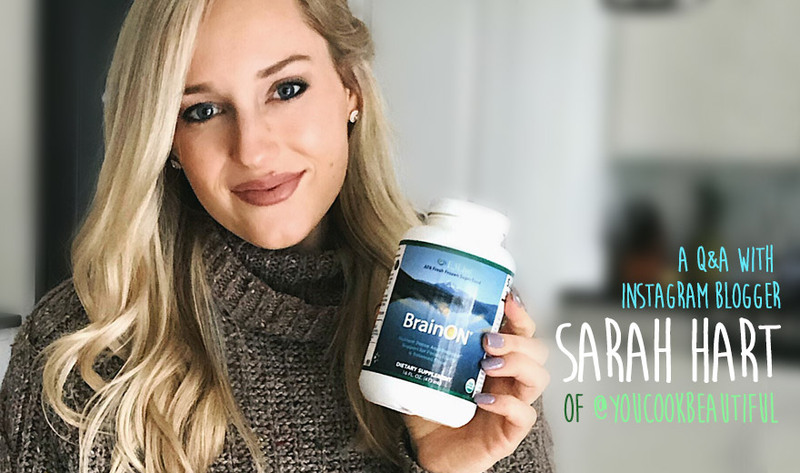 In November of 2017, I was diagnosed with an autoimmune thyroid disease called Hashimotos. I was tired all of the time, no energy to workout and struggling to take care of my two kids. I experienced extreme brain fog, which lead me to E3Live + BrainON fresh-frozen superfood. I started taking this daily and it helped tremendously. I then had to take my health more seriously than I ever had before. I cut out gluten, soy & most dairy -- and was able to help alleviate my symptoms from Hashimotos. I realize it is a life-long journey with any autoimmune disease, so maintaining optimal health is necessary to feel and do my best in all areas of life. Food has amazing benefits and E3Live has played a huge roll in that for me. I love E3Live + BrainON because it really improves my mental clarity and sets the tone for the day. Blue Majik is also amazing and easy to incorporate in smoothies and drinks. 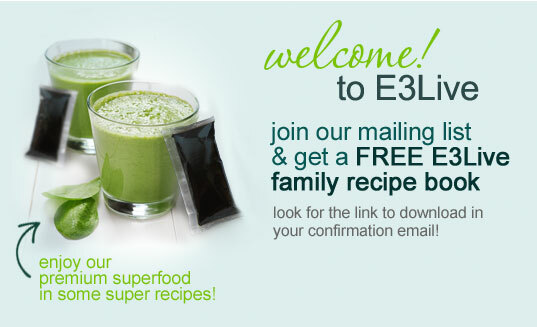 Any tips on how to incorporate E3Live superfoods into recipes? Don’t be afraid to experiment and find out what works best for you. I’m always experimenting with food and trying new things. It’s easier than you think to sneak these superfoods into almost anything. I really like to encourage people to focus on Holistic health. This includes the overall health of your mind, body and spirit. I truly believe that the three of these things are connected in a huge way. For me, the spiritual aspect is my relationship to Jesus Christ, and meditation through prayer. Having this as a daily part of my spiritual life has such a positive affect on everything I do. It changes the way I perceive things. As for our mind and body, these are also connected in a huge way. The way you treat your body affects the way you think. It’s proven that physical activity and keeping your heart rate up, as well is ingesting healthy food and drink has a directly positive affect on your overall mood and mind. I think it’s so important to pay attention to all of these things equally. Mind, body & spirit. What's next for You Cook Beautiful? I’m working on launching a website and writing a few cookbooks. I’ve been asked over and over when I’m going to write a book. I just started my Instagram blog in April, so my next step is to focus on creating unique healthy recipes that can only be found in these books. 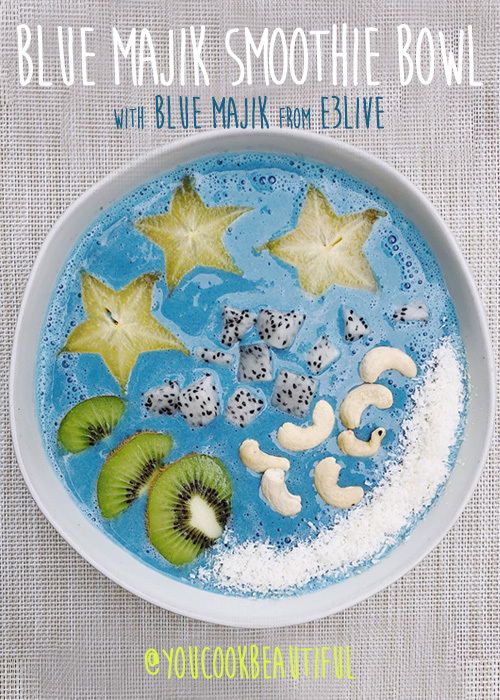 BLUE MAJIK SMOOTHIE BOWL using E3Live's Blue Majik spirulina extract superfood. 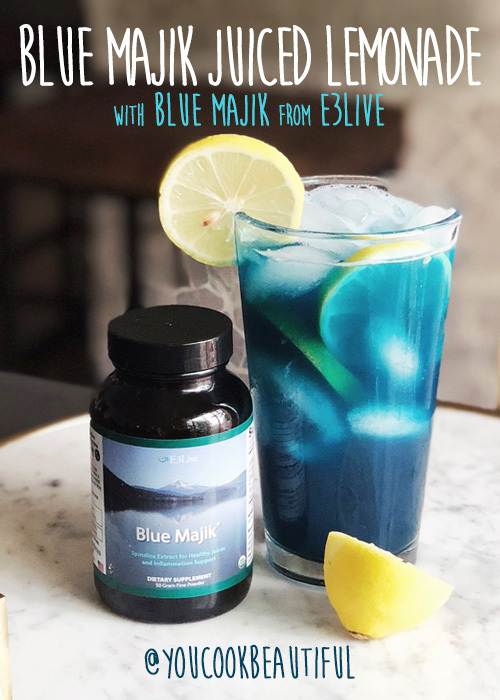 BLUE MAJIK JUICED LEMONADE using E3Live's Blue Majik spirulina extract superfood.